Dr. T. Wayne Rentz Jr. (’72), a surgeon in Brunswick, Georgia, has been named associate dean for the MCG Southeast Campus, based in Savannah and Brunswick. Rentz, formerly assistant dean for curriculum, completed a general surgery residency at the Naval Regional Medical Center at Portsmouth, Virginia. After training, he became a staff surgeon at the U.S. Naval Hospital at Roosevelt Roads in Puerto Rico and was named chief of surgical services there in 1979. He worked as a surgeon at the Naval Aerospace and Regional Medical Center in Pensacola, Florida, before leaving active duty with the U.S. Naval Reserves and coming to Brunswick in 1983 as a private practice surgeon, based at Southeast Georgia Health System. He has served in many roles within the health system, including chief of staff, director of the Surgical Intensive Care Unit and as vice chairman of the Credentials Committee. Rentz is a fellow of the American College of Surgeons and a diplomate of the American Board of Surgery. 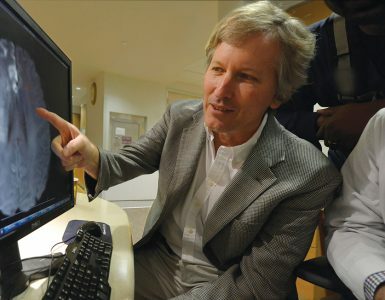 He is a member of the Medical Association of Georgia, the Georgia Surgical Society, the American Society of Breast Surgeons, and the Glynn County Medical Society. 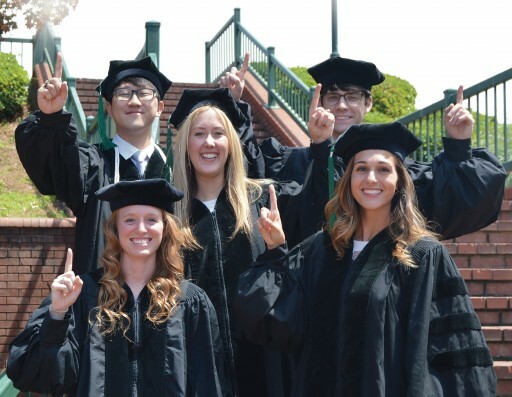 The first students to complete their clinical education at MCG’s Northwest Campus in Rome graduated in May. 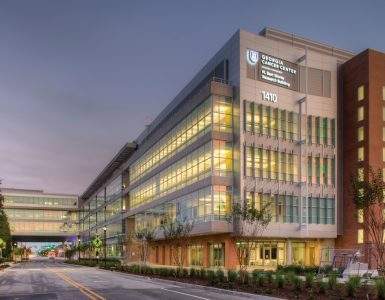 MCG’s Albany-based Southwest Clinical Campus, the first off-site campus of MCG’s statewide education network, is celebrating 10 years of educating the next generation of Georgia physicians. Although MCG students have participated in clinical practice experiences in southwest Georgia for decades, the clinical campus formalized the relationship while helping alleviate a statewide physician shortage. The Liaison Committee on Medical Education accredited the site in 2010, and the first residential students arrived that July. 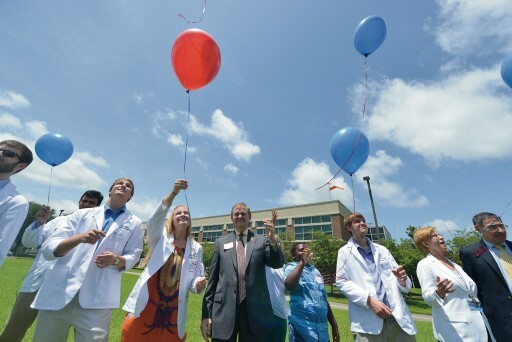 Since 2010, 72 students have lived and learned alongside Southwest Georgia physicians, an important aspect of ensuring the area has plenty of physicians in the future, said Dr. Granville Simmons, associate dean of the campus. “We hope that by providing top-notch clinical experiences to them as third- and fourth-year medical students, they will want to return to the area to practice after they’ve completed their training, and ensuring access to top-notch health care is essential to this area’s growth,” he said. More than 140 volunteer physician faculty offer students access to rotations in internal medicine, family medicine, obstetrics and gynecology, pediatrics, psychiatry, neurology, general surgery, otolaryngology, urology and more. The focus is on primary care, but the campus also offers access to advanced specialties and technology. Students who attend the Southwest Campus also complete clinical rotations at sites throughout southwest Georgia, including Tifton, Cordele, Valdosta, Albany, LaGrange, Americus, Thomasville and Columbus. The first class of 10 internal medicine residents at St. Mary’s Health Care System officially began work on July 1. 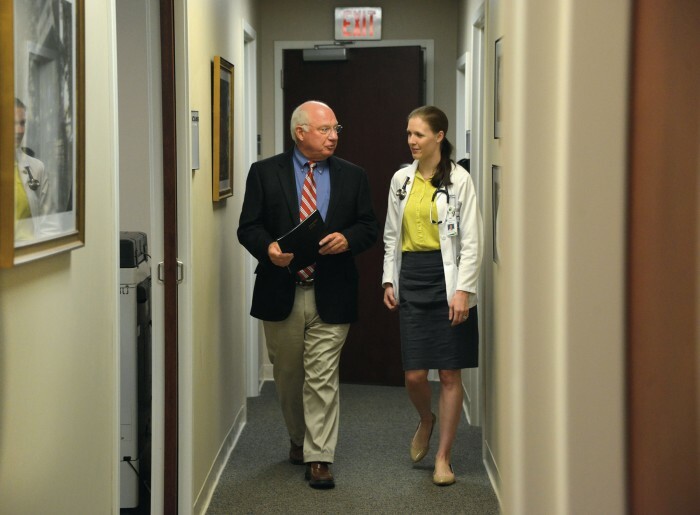 The residency program is a component of the GRU/UGA Medical Partnership and St. Mary’s. Each internal medicine resident will complete three years of studies emphasizing prevention, diagnosis and treatment of adult diseases, practicing alongside attending physicians. The program includes five core faculty members, 10 subspecialty education coordinators and approximately 70 additional faculty for the elective and subspecialty rotations. Dr. Leslie Petch Lee, who has been assistant dean for curriculum at the Georgia Regents University/University of Georgia Medical Partnership since 2010, was appointed interim campus dean in May. A national search for the next permanent campus dean is underway. Lee, who joined UGA in 2005 and also has an MCG faculty appointment, became involved in the early planning and development of the GRU/UGA Medical Partnership in 2007 and was appointed coordinator for the first- and second-year curriculum—known as phases 1 and 2—for the Medical Partnership in 2008. As assistant dean for curriculum, she oversaw the development and implementation of the phase 1 and 2 curriculum. She also represented the Medical Partnership on the MCG Instructional Technology Advisory Committee, the Phase 1 and 2 Curriculum Committee, the Curriculum Oversight Committee, the Admissions Committee, and the Executive Committee for Reaccreditation. 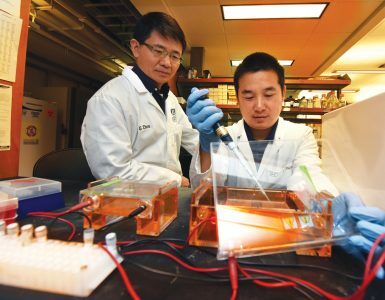 She was previously associate director of the Virology Core Facility at the University of North Carolina, Chapel Hill, Center for AIDS Research. She earned her Ph.D. in pharmacology from the University of North Carolina, Chapel Hill.